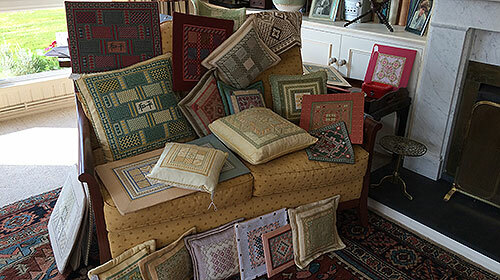 Here you can learn about the fascinating world of needlepoint, browse the designs in our catalogue, and buy complete kits and accessories online that you need to make up those designs. 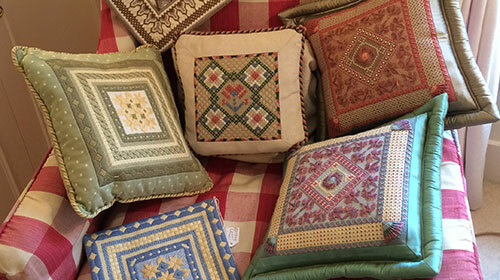 The Needlepoint Network is run by Carolyn Dowie of All Stitched Up. 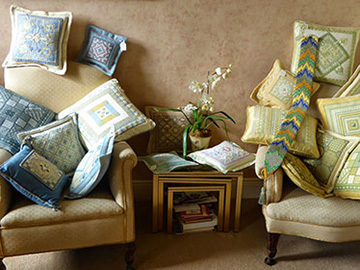 Carolyn, her UK networkers and now 1 in the United States, run classes teaching interesting needlepoint techniques in a sociable and supportive atmosphere, and can supply all the materials you need. 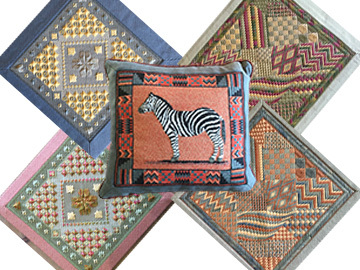 New designs are produced each year by the Needlepoint Network, and All Stitched Up has exclusive access to the well known designs of Anna Pearson. 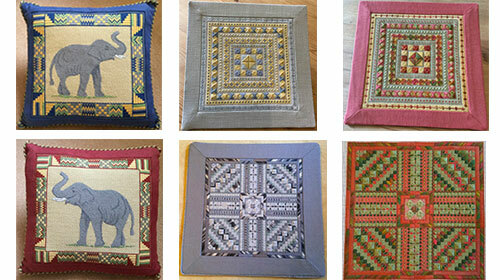 You can buy complete needlepoint kits and accessories online from our design catalogue pages. Here is a selection of our most recent designs. 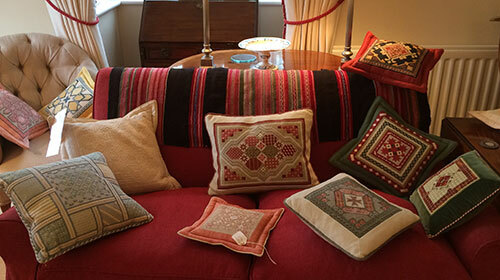 Complete needlepoint kits and accessories can be bought online from our design catalogue pages. Accessories can be bought here. 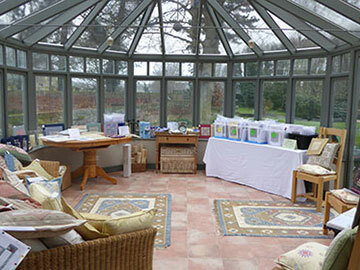 You can see a wide selection of photos taken at our open days in Northumberland, London, Hampshire, Dorset, London, Surrey, Norfolk, Suffolk and Sussex on our Open Days pages and when available details of forthcoming events.